in an RV. First stop Savannah, Ga! 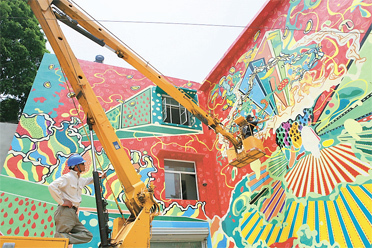 Artist Chen Dongfan from the Clepic Image gallery works on the painting on the five-story building in Wuchang Subdistrict. He is responsible to give four buildings in Wuchang a bright new makeover. The project is going to establish several shopping streets coupled with a mall, and the wall painting, which is the first in a series of four, is expected to prepare locals by immersing them into an artistic, fashionable atmosphere. Chen series of paintings on the walls of four Wuchang buildings are named "Where is the Happiness," and themed by a Chinese idiom "An Ju Le Ye" (literally meaning "live and work in peace"). The completed painting unveiled on Friday represents Ju, meaning living or being settled. Chen will finish the remaining three paintings on other buildings by the end of June. 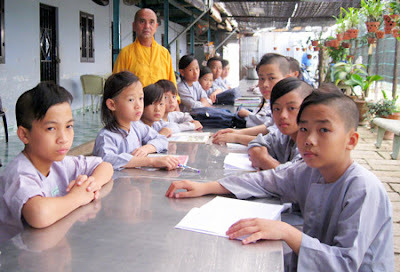 Thich Tri Anh is a 60-year-old monk who has spent the last 40 years bringing up more than 50 orphaned and disadvantaged children in Ho Chi Minh City, providing them board, lodging and education. Monk Thich Tri Anh had started adopting orphans and disadvantaged children in 1984. At that time, he was staying with some monks in their Pagoda because he did not have his own. Later donors bought him 300 meters of land to build a pagoda. When people around the pagoda heard that the monk had adopted orphans and disadvantaged children, they began to send him their support in any way they could. Although it was economically difficult, monk Thich Tri Anh has tried to send all his sons to school. The oldest adopted son is nearly 40 years old and has a master’s degree and the youngest son is presently studying in kindergarten. The monk is now aging so it is time for the sons to take care of him, Huy said. He said that he and his brothers would stay in the pagoda to rebuild it and help other children in need. 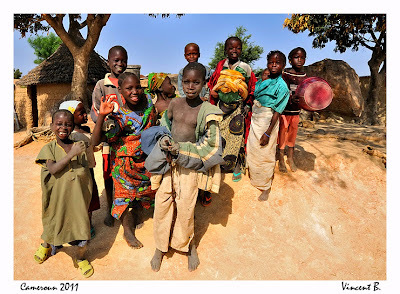 Thanks to the love and attention of the monk and donors, the orphans and disadvantaged children have now a bright future and a better life. Whatever they do and wherever they go, those who grew up in the pagoda frequently come back to visit monk Thich Tri Anh, who has transformed their lives from misery to happiness.